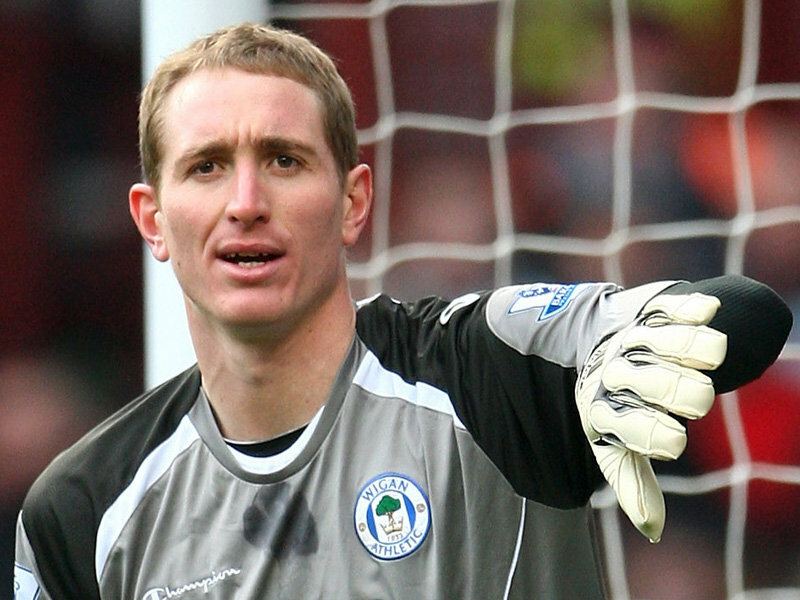 Reports suggest that Chris Kirkland is close to rejoining Wigan Athletic. The 34 year old goalkeeper joined Latics in 2006 and made 122 appearances before signing for Sheffield Wednesday in summer 2012. Kirkland’s performances during his time at Wigan are well known to Latics fans, but how has he been doing since then? In order to find out about Kirkland’s performances at Wednesday we reached out to Chris Morris, editor of the Owls-Mad fan site. Due to his injury problems there were a few doubts when Chris Kirkland signed for Wednesday in the summer of 2012 but any fears were found to be misplaced as the former England stopper was the standout performer in the Owls first season back in the Championship. Last season saw Kirkland lose his place to Keiren Westwood – no disgrace in that given that Westwood was voted into the PFA team of the year last season. Wednesday have been fortunate to have been blessed with top quality keepers over the past few years and although he may be past his best no-one would begrudge Kirkland the opportunity to be a number 1 again and he still has plenty to offer.